The Deputy Minister of Trade and Industry, Mr Bulelani Magwanishe delivered a keynote address at the opening session of the Russian Inward Buying Mission in Cape Town on Monday 2 October 2017. The session took place at the Invest South Africa Western Cape One Stop Shop that was launched by President Jacob Zuma this month. The session marked the first day of the visit by a delegation from Russia’s leading wine importing companies, Marine Express. Black and women-owned winemakers and brand owners from the Western Cape belonging to the Treasure Chest will participate in the session. The group comprises of fourteen black wine owners, 90% of whom are women. A wine co-operative from the Eastern Cape, as well as other stakeholders in the wine industry will also be part of the session. The Russian Inward Buying is a result of the meeting that Deputy Minister Magwanishe held with the Chief Executive Officer of Marine Express, Mr Andre Kuzmin on the sidelines of the St Petersburg International Economic Forum which took place in Russia in June. Their engagement centred around increasing SA’s exports of wines into the Russia market. “Marine Express is undoubtedly one of Russia’s leading importers and distributors of wine and liquor. Their distribution covers all of Russia’s regions and goes through all distribution channels. It clientele comprises of more than 400 customers located in more than 60 cities. These include retail chains, restaurants, hotels and wholesale companies. It was against this background that I met with the company in Russia and invited its owner to come to South Africa with the specific transformational objective of creating access to market for black-owned wine companies to enable them to export their wines to Russia,” says Magwanishe. 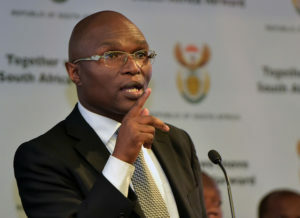 He adds that the dti has not only made it possible for the Russian buyer to interact with black winemakers at the opening session on Monday, but the buyer will also visit some of the farms and premises in various parts of the Western Cape during his four-day mission. “the dti supports the Treasure Chest project because it is a unique wine trade initiative that aims to address transformation in the wine industry and bring economic and social development to wine brand owners. Their objectives of creating jobs and contributing in increasing the country’s exports to achieve economic growth are in line with the department’s mandate and objectives,” says Deputy Minister Magwanishe.